Just as with every practice known to men, Anabolic steroid cycle for beginners is a learning curve and must not be taken lightly. The first cycle and even the following 2 or 3 cycles are to be performed in a particular method in order to allow the person to sustain, measure, test, and experience his own body’s response to the hormones. While every person’s reaction varies to diverse hormones in supraphysiological levels, one’s very first cycle must always be considered as a test-run. The first couple cycles beginners using an anabolic steroid serve the purpose of enabling individuals to master their bodies more and discover effects of Testosterone themselves. Make sure that training and nutrition methods are correctly planned and as smooth as possible in order to guarantee progress. As an example, in bulking, calorie intake should be sufficiently high to allow for the new muscle to grow. In addition, training should also be tweaked properly and mastered prior to taking part in any type of stack. Inability to meet these essential requirements will gain undesirable progress, muscle gains, and oftentimes, will ultimately result in zero progress, generally leaving beginners wondering why anabolic steroids did not work with them, when the truth is that the issue is not with their anabolic steroids, rather with improper/inadequate training methods and nutritional habits. Make sure training and nutrition experience is enough to make safe and meaningful progress from running a beginner’s anabolic steroid stack. Make sure to prepare sufficient money. Beginners who are ill-prepared in investing the proper sum of money needed to build into a good cycle will tend to result in possible damage and failure due to incorrectly structured cycles. Neglecting this important detail will end in regret. Consider the fact that Anabolic drugs are not cheap so it must be taken seriously and should be used properly with the right background knowledge. Someone who is incapable of seriously investing the proper sum of money to use anabolic steroids should reconsider. It is important to ensure that the appropriate drugs, ancillary compounds/drugs such as AIs, SERMS, etc., sustain supplements and every necessary component needed for the steroid cycle are on hand before beginning with it. 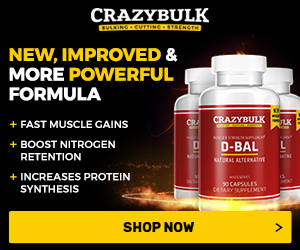 The web community, gyms, and pretty much the whole world is filled with individuals who are just too impatient to start using anabolic steroid before ensuring first that they have all the required elements. Without the full amount of anabolic drugs required for the full cycle, users will be highly prone to experience side effects. Many even have grown a full breast tissue (gynecomastia) due to impatiently starting a cycle before securing an AIs or SERMS. These preliminary principles are crucial for beginners. However, they are also beneficial to intermediate, as well as advanced users. It is very crucial for beginners to know the appropriate cycle to opt for and what isn’t. 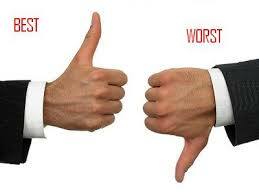 There are also some merely acceptable choices that are neither terrible nor stellar. The first cycle that contains only Testosterone is the safest and generally the best options for beginners. There is one important thing that all beginners must understand about oral anabolic steroids. Under no circumstance must a cycle consist of just oral anabolic steroids. This is a common mistake that beginning anabolic steroid users do, which may be due to the individual’s fear of needles. Oral anabolic steroids should never be taken on their own, but instead should act as auxiliary compounds to support a solid base cycle of injectable Testosterone for each cycle. Injectable compounds should be the base compounds of a cycle, and orals are the ‘kickstarting’ compounds. That being said, it is important to note that there are different injectable compounds that need frequent running. In addition, there are a few beginner-friendly mixtures that do not need too frequent administration. Testosterone Cypionate or Testosterone Enanthate, for example, are long-esters mixtures that show long half-life and a very slow release window compared to other quick-acting anabolic steroids like Testosterone Propionate. Meanwhile, Long-entered mixtures like Testosterone Enanthate are typically used by beginners but are they fairly suitable to them. Again, you must understand that anabolic steroids are extremely serious drugs. A person considering its use must first learn proper administrative procedures. Otherwise, he/she is not fit to use it. By click on the links below, you can find out more about these and also check the prices of following. Long-ester compound steroids like Testosterone Cypionate, Testosterone Enanthate, Nandrolone Decanoate, Sustanon 250, as well as Equipoise have long half-lives and should be administered only twice every week, with the complete weekly dose split equally into two administrations of injection. 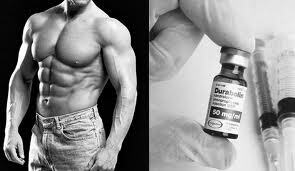 As an example, one cycle of 500mg/week Testosterone Enanthate would need a 250mg injection administered Monday then the other 250mg administered on Thursday. It is important to do this to maintain correct and stable blood plasma and hormone levels. While individuals are still able to make quick progress with just one weekly injection, what really ideal are two injections every week to be able to maintain the correct levels of plasma. Failure to follow this recommendation will end with the user having increased intensity and risk of side effects. - A great cycle for all beginners in bodybuilding and others that want to gain mass. Cycle results in mass gains with moderate androgen properties. This is a basic testosterone and Bolde 250 (equipoise) stack. The Boldenone 250 allows for a lower overall dosage of testosterone, without sacrificing much in terms of expected gain! Estrogen buildup should be controllable with this stack, yet still should reach a point where it is aiding in the promotion of an anabolic state. Take one Tamoxifen Citrate (Nolvadex) tablet each day early in the cycle to really suppress rising estrogen levels. Bolde 250 Test. Enanthate H.C.G.